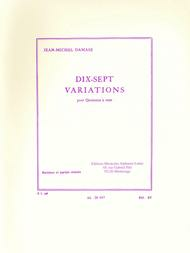 “French pianist, conductor and composer, Jean-Michel Damase (1928-2013) was composing by the age of nine. He studied at the Paris Conservatoire under many significant professors and won the 1947 Prix de Rome. 17 Variations for Wind Quintet is no exception to the composer's success. Damase is remembered for tackling every genre of music in order to bring further elegance to the tradition of French music. Frequently played in concerts, 17 Variations for Wind Quintet is a charming work for an advanced quintet containing a Flute, Clarinet, Oboe, Bassoon and French Horn. 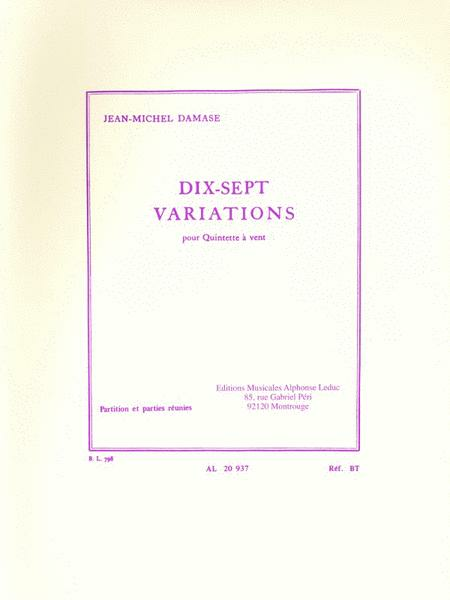 For all aspiring advanced Wind Quintets, Damase's 17 Variations is an exciting addition to the ensemble's repertoire.”.